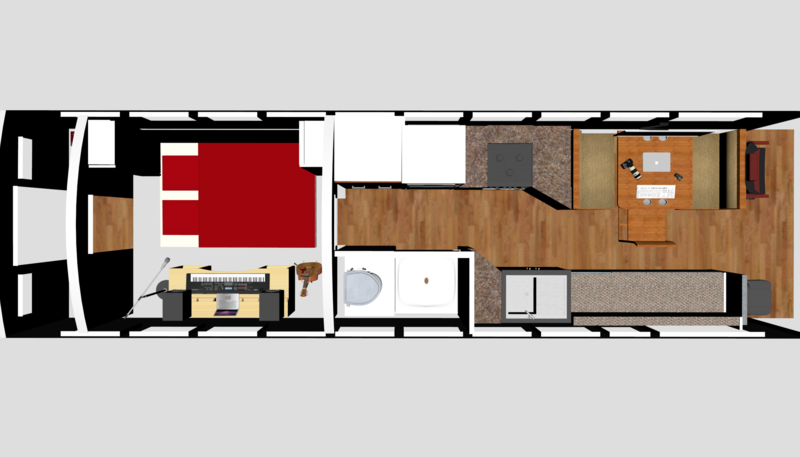 The Bus Conversion Floor Plan | Art We There Yet? 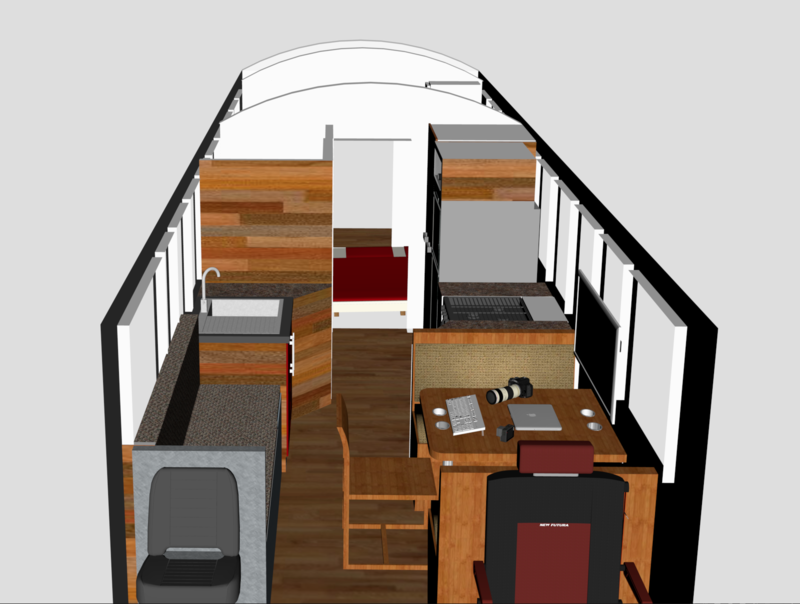 Making a floor plan for the converted school bus (often called a ‘skoolie’) is a bit of a challenge. 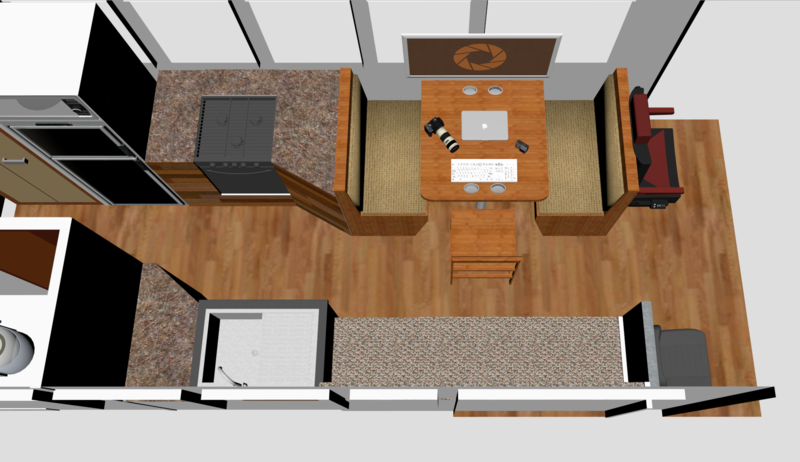 We have 198 square feet of space to convert into a recording studio, photo studio, and living space for 2-4 people. Luckily, José is an artist and enjoyed making our floor plan almost as much as he enjoys painting. He used SketchUp to create this 3D model of the floor plan. The space is divided into three sections. 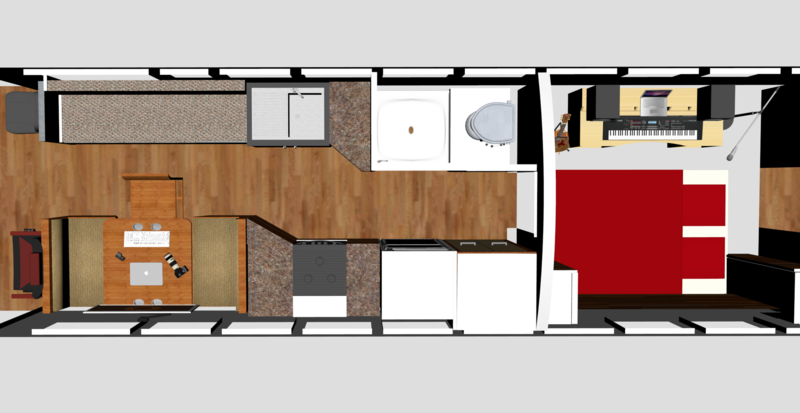 The kitchen floor plan will have a propane-powered oven and range, a propane-powered refrigerator, a sink, and a bit of counter space. The bathroom will have a composting toilet and a small shower stall. 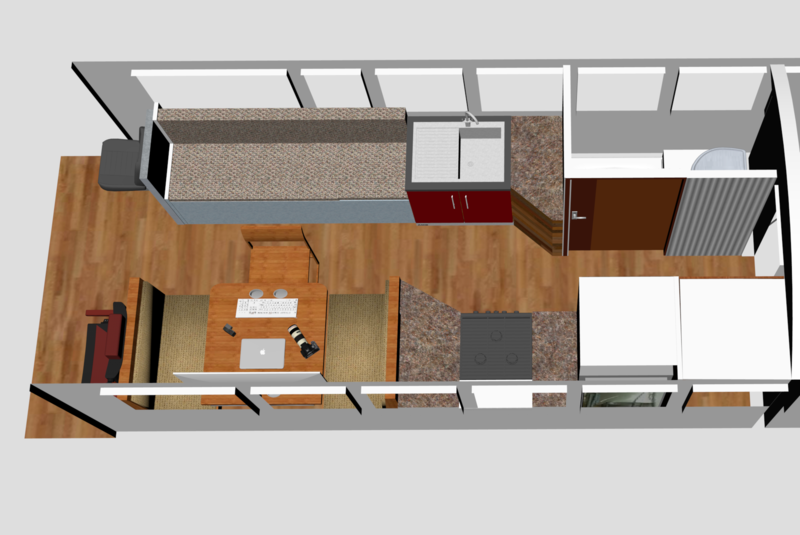 The living space will have a couch that will fold out into a bed for visiting artists and guests. It will also have a table that will double as José’s photo editing/painting space and an eating area. We will have a closet for storing clothes. 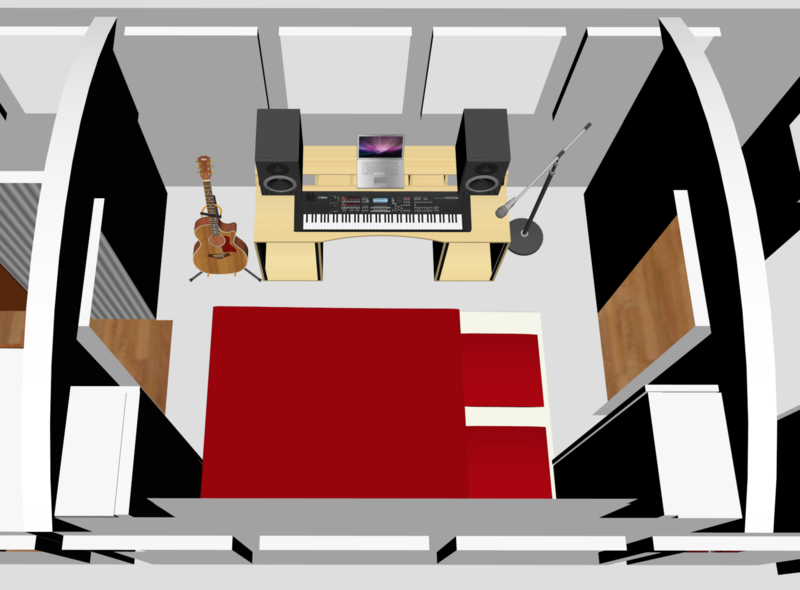 The recording studio floor plan will be separated from the rest of the space by walls, flooring, and a ceiling constructed with soundproofing materials. Our bed will fold up into the wall for recording sessions. The underside of the bed will have a white backdrop so the space can also be used as a photo studio. Lighting gear and recording gear will be stowed away in storage space on either side of the bed. The utility room will house the electric box, solar batteries, generator, propane, and tools. There will be a door connecting it to the recording studio. If you are curious exactly how we will go from a plain yellow school bus to this studio, follow along as we document every step.